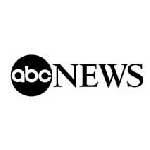 ABC News quotes me in an article about neckties! …Neckwear isn’t an everyday accessory for Zabludovsky, but he said that when he does wear it, he feels better about himself. As naked necks abound, an American tie institution is shutting down. The Men’s Dress Furnishings Association, which has represented American tie makers for more than 60 years, has shuttered its New York City headquarters and, later this month, plans to close down for good. The Wall Street Journal last week called the tie association a “fashion victim,” linking a decline in tie-wearing to the group’s downfall. But are neckties themselves on the way out? Some industry watchers say no. The proliferation of “business casual” workplaces and sales declines notwithstanding, they say that the tie industry is quite alive and may even be experiencing a resurgence. Nick Sullivan, the fashion director of the men’s magazine Esquire, said that as of late the magazine has been fielding plenty of queries from readers with tie-related concerns: how to wear them, how to store them, how to pair them with shirts. “The whole dress down business thing is completely played out, and most guys I’m aware of don’t have a problem of wearing a tie to work,” he said. Sullivan suggested that today’s economy may influence more men to return to ties.”Especially in a time of recession, the best way to mark yourself as a company man is to dress the part,” he said. Even as fewer men include ties in their professional wardrobes -– a 2007 Gallup poll found that 67 percent of men “never” wear ties to work -– more today seem to appreciate ties for personal style reasons. Ties have morphed from “something you had to wear to a great way to express yourself,” said Claudio Del Vecchio, the CEO of Brooks Brothers, an upscale chain known for its men’s suits. Brooks Brothers, he said, is so enthusiastic about ties that it’s launching a tie collection for women this fall. The company’s tie business, Del Vecchio said, has grown 25 percent in the last four years. Even with Brooks Brothers’ success, however, the numbers for the industry as a whole are mixed. Tie sale totals have declined since the 1990s, when some published reports cited sales as rising well above $1 billion. Most recently, between April 2007 and April of this year, U.S. tie sales fell some $47 million to $693 million, according to market research firm NPD Group. Nevertheless, the number of ties sold actually increased from 43.7 million to 45.1 million. Why the discrepancy? The average price of ties sold plunged 10 percent from $16.95 to $15.37 — but that’s not necessarily a bad thing for the tie industry. Marshal Cohen, the chief industry analyst for NPD, said the price drop signals increased interest from young people. Their demand for neckwear, he said, is helping push down tie prices. Even some teenagers, he said, are flocking to ties to satisfy their sense of style. Count Tufts University student Anton Zabludovsky as among the tie-in-class set. A senior at the Massachussetts school, he prefers wide ties over today’s trendy narrow variety. Neckwear isn’t an everyday accessory for Zabludovsky, but he said that when he does wear it, he feels better about himself. Men today looking for just the right tie may look abroad for inspiration. Esquire’s Sullivan said that consumers are increasingly buying ties made in Europe. So if the tie industry is healthy, why is the Men’s Dress Furnishings Association shutting down? MDFA executive director Gerald Andersen said that the group’s declining membership — it dropped from a high of 120 members to just 23 — is partly due to some of its members going out of business. But the larger factor, Andersen said, was tie companies leaving the association as they merged with larger clothing manufacturers. When tie makers go from mom-and-pop shops to arms of large corporations, their need for an association ebbs, said NPD’s Cohen. They’re no longer looking to an association, he said, to provide credit loans or fashion guidance; they turn to their parent companies instead. There are “a lot of manufacturers associations in America that are becoming more [about] cocktail party opportunities,” said Del Vecchio at Brooks Brothers, which left MDFA years ago.